Aberdeen Group recently studied 99 firms and analyzed the importance of project portfolio management (PPM) software on a firm’s ability to successfully execute a portfolio of high-impact projects. While Aberdeen’s study focused on travel and transportation firms, Gaea’s decades of experience providing enterprise PPM systems assures us that Aberdeen’s findings are relevant to all industries. 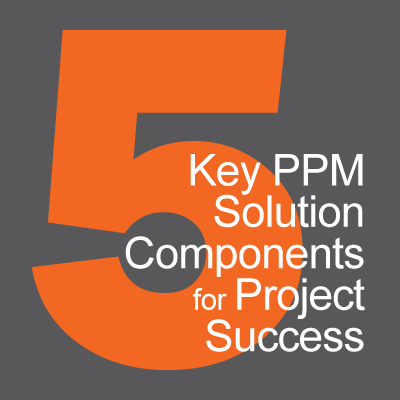 Gaea recommends focusing on five key PPM solution components: analytics, project ROI, resource management, standards and automation, and integration. The best performers in Aberdeen’s study were twice as likely to utilize analytics tools integrated with their PPM system to support wise decision making. Every project requested across an enterprise cannot be executed. A great PPM system will help determine the potential ROI of each project in your organization’s portfolio, prioritize those projects, and then help execute them on time and on budget. No firm has unlimited resources, whether they’re human or materials. Organizations need to be able view and assign resources across their entire portfolio of projects to ensure optimal, prioritized performance. Utilize PPM system best-practice capabilities, tailored to fit your organization, to streamline operations, speed execution, and facilitate collaboration. An integrated enterprise PPM system that manages costs and execution not only provides one source of truth for reporting, it enables proactive management. Don’t wait to run reports to determine project health. Your PPM system should alert you whenever certain conditions arise, enabling action to avoid cost overruns. Contact Gaea today to learn how we can help you implement, integrate, and optimize a PPM solution that will empower you to become a leader in your industry. Download the full Aberdeen report from Oracle’s website. This entry was posted in Blog and tagged Cost Controls, enterprise project portfolio management, Oracle Primavera EPPM, PPM, Project Controls. Bookmark the permalink.